After way too long, I was finally able to see one of my more anticipated films of 2015, Southpaw. 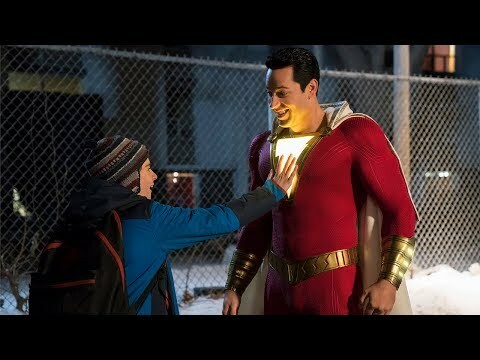 Despite the notion that boxing is a dying sport, Hollywood continues to produce boxing movies on a pretty regular basis. And why not? The setting is perfect for an underdog story that everyone can get on board with. 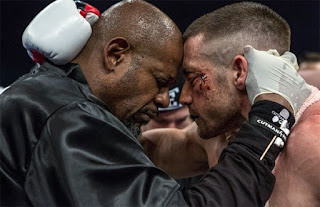 Southpaw doesn’t differ much from this rise-fall-rise again template, but manages to bring just enough to make it a solid film. Billy Hope (Jake Gyllenhaal) is the Lightweight Champion of the world, carrying with it his 43-0 perfect record. Hope’s wife though, Maureen (Rachel McAdams), is worried he is too reckless in the ring and will eventually be injured to the point of extensive brain trauma. Luckily, Billy is soft hearted underneath all of that brooding muscle and listens to his concerned wife. Unfortunately, Hope’s happy life begins to unravel. After a violent confrontation with fellow fighter Miguel Escobar (Miguel Gomez), shots are fired and Maureen is caught in the crossfire. Reeling from his loss, Billy begins to spiral out of control, losing his title, fortune, and worst of all, his ten-year-old daughter, Leila (Oona Laurence), to family services. Despite its clichés, the film thrives on its performances. Jake Gyllenhaal is slowly cementing himself as one of the best actors in Hollywood. The actor continues to lose himself into roles, to the point where he becomes unrecognizable. Gyllenhaal is able to inject vulnerability with a little scrappy charisma to the character, balancing the brutal ferocity with actual sincerity. Ultimately Gyllenhaal’s performance is what makes you invested in the film. While Gyllenhaal is the standout, his co-stars bring brilliant performances as well. Rachel McAdams is great, for the brief screen time she has, as the loving wife of Billy Hope. Surprisingly enough, Oona Laurence holds her own, unlike many child actors, and presents a natural ability to let her emotions flow. Forest Whitaker, who plays Hope’s new trainer Tick Willis, is of course good as he always is. Whitaker works well alongside Gyllenhaal, bringing the grizzled toughness required for this old trainer. The screen time between these two great actors, Gyllenhaal and Whitaker, are some of the best scenes in the movie, hitting all the right emotional notes. Director Antoine Fuqua is able to craft a brutal film where the most brutal events happen outside of the ring. That said, the fight scenes are all unique in terms of boxing movies. Fuqua uses a variety of shots and styles, including first person angles, to effectively help capture the viciousness of what is going on. And the final fight is such an intense, heart-pounding, emotional scene that you almost feel each punch as it happens. 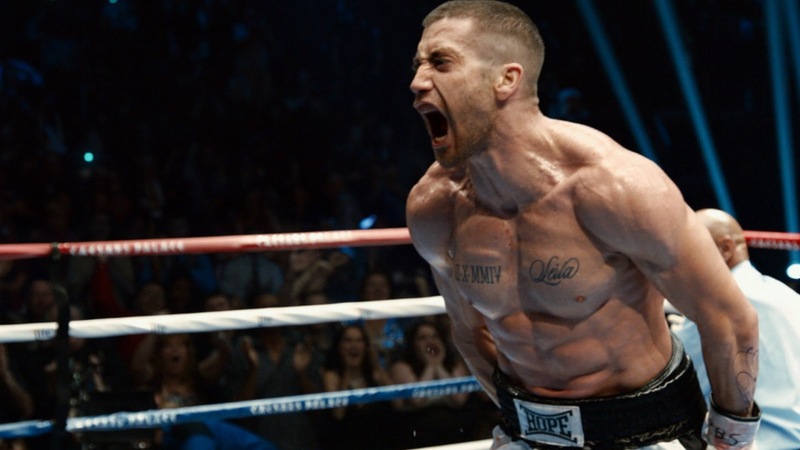 So what did you think of Southpaw? Have you seen it, are you interested in seeing it, or are you just not a huge boxing fan after the snoozefest that was Pacquiao vs Mayweather? Sound off below with your comments or feedback and remember to come back for weekly reviews.